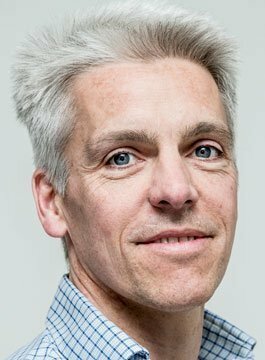 Dan Cobley is an entrepreneur and angel investor in innovative tech start-up businesses, focusing on financial services. Dan spent over 8 years at Google. Between 2011 and 2014 he was Managing Director, UK & Ireland – the biggest market for Google outside the US and the most advanced major country in terms of e-commerce and online advertising spending. Dan was promoted to the UK MD role after five years in Google marketing, first as Marketing Director, UK, Ireland and Benelux and then as VP Marketing, EMEA. In this role he was responsible for all aspects of European business and consumer marketing. He has also been an early dot.com casualty (great learning! ), a strategy consultant, and an oil exploration engineer in Pakistan. As a keynote speaker, Dan Cobley speaks at conferences on technology, innovation, and Google’s unique approach to business. Dan talks about innovation; about how digital connectivity and devices are transforming consumer behaviour and the industries that depend on them; and about the lessons learned from Google and how they can be applied to other companies and sectors. With a high energy style, Dan uses a combination of humorous stories, data-led insights, and personal experience, illustrated with images, video and live product demos, to ensure his sessions are both engaging and impactful. Dan Cobley shared his thoughts on ‘Physics and Marketing’ at the TED conference and with over a million people online. He was named as number 3 in ‘Wired UK top 100’ list 2012 and number 2 in the ‘Evening Standard 1000 Most Influential Londoners’; Digital Innovators, 2012. He appeared on BBC’s Tomorrow’s World as a technology commentator and helped Lord Sugar choose his 2014 Apprentice. He has a first degree in physics from Oxford and a master’s in management from Cambridge. He is a trustee of the Technology Trust, and an advisor to a few tech start-ups. How digital (led by cloud and mobile) is transforming the way we all live and what that means for how companies need to serve us. How changing consumer behaviours and expectations are driving new demands on FS and how the start-ups are meeting them – threatening existing players. Lessons from Google and from the world of fintech start-ups on how to inject innovation into your organisation. Building teams that win in a fast moving world, drawing on lessons from Google, Capital One and the best tech start-ups. How Google, Tesla and others strive for ‘order of magnitude’ change to turbo-charge their innovation agenda. How the gathering and harnessing of data, and the application of AI and ML will drive the next wave of massive disruption to business and society. How measuring everything and harnessing the power of smart / beautiful data visualisation and machine learning gives you an edge. What’s Next in Digital Transformation? Having seen digital transform sectors like publishing, media, travel and retail, what’s next? What will be the impact on the ‘laggard’ sectors of manufacturing, finance, healthcare, etc.